When should I start the process of applying for guardianship? How does the process work? Why is it important to apply for guardianship? If you have asked yourself these questions and don’t know where to look for answers, keep reading for information on the when, how and why. Whether you have an elderly parent or a special needs child, the process can seem daunting and it’s the reason why so many put off the task. The consequence of putting it off until “sometime in the future when you really need it” is that there will come a time when you wished you had done it sooner. The answer to this question will depend on who in your life is in need of a guardian. If you have child with a disability that prevents them from understanding legal, medical and financial decisions and is about to turn 18 years of age then it’s time to discuss guardianship with your family. I recommend consulting an attorney to start the process at least 3 months prior to their 18th birthday so you can familiarize yourself with the process and have the paperwork ready to be filed. If you have an elderly parent or family member who is suffering or has suffered an event that prevents them from being able to make decisions or handle their finances, legal or medical care then it’s time to discuss guardianship with your family. There are many reasons why someone is unable to handle these types of decisions for themselves. For example, they suffer from dementia or a physical condition that has caused them to be permanently incapacitated. If you are unsure about whether guardianship is the right next step to take, consult an attorney. Once you have determined that guardianship is the right next step, the formal process begins by filing the appropriate paperwork with the court in the county in which you reside. The paperwork requires an application to the court to declare your loved one has someone in need of a guardian and will require doctor certifications as to the medical condition of your loved one. Your attorney can help you navigate all the paperwork that is needed and file the appropriate paperwork on your behalf. Why is it important to file for guardianship? The most important reason for applying for guardianship is to allow you to help your loved one in their time of need or, as it is in many cases, to allow you to continue caring for your loved one in the capacity that they need. For many parents who seek guardianship, the application may seem like “just paperwork” but it is important paperwork that legally allows you to continue making decisions on behalf of your child who is now 18 years of age. 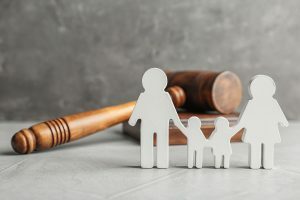 For those seeking guardianship of a parent or family member, it may be necessary to file for guardianship to protect your loved one from exploitation or unintended harm.